I was born and raised in this small town of Oregon City, lived her for 13 years, moved to WA, then I moved to Florida, and now I have come full circle and moved back to Oregon City! Yet with all my time here I have never seen some of the places along the promenade down town that I took some of these photos! One thing I love about photography is the scouting, it makes me want to go and scavenge around looking for new and exciting places to shoot. I absolutely love the tree in the second to last photo, I most definitely will be taking more photos with it in the future! Anyway, why senior photos you ask when I am primarily a wedding photographer? Well for a long time I have been fascinated with the idea that everyone is capable of having a good picture taken of them. The trick is good coaching. 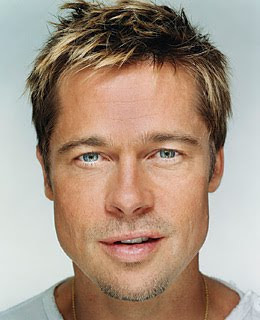 It's what made Brad Pitt from his early years of looking like a deer in head lights into the smolder he has today. Coaching by other photographers, teaching him how to work the camera, and give it his good side. Everyone has a good side, some people just have more good sides then others. With this concept in mind, in the next few weeks I will be doing more portrait photography trying to bring out "the best" in the people I photograph. It's not always about the best lighting, or best angles, sometimes it's that perfect smile, piercing stare, or unadulterated smolder that makes that shot amazing!